The Norwegian staffing company Norwegian Maritime Services AS (NMS), established in 2005, will be run as an independent company with its own management in the Østensjø Group. NMS supplies maritime crew to shipping companies in Norway. They are headquartered in Åkrehamn with branch offices in Poland, Lithuania, and the Philippines. They have a great focus on quality in their deliveries and have solid customers in their portfolio. The acquisition does not include the shipping company Oceangoing AS, which will continue to be operated by existing owners. – This is an exciting opportunity for us. We see Norwegian Maritime Services AS as a good platform for further growth in all maritime segments. 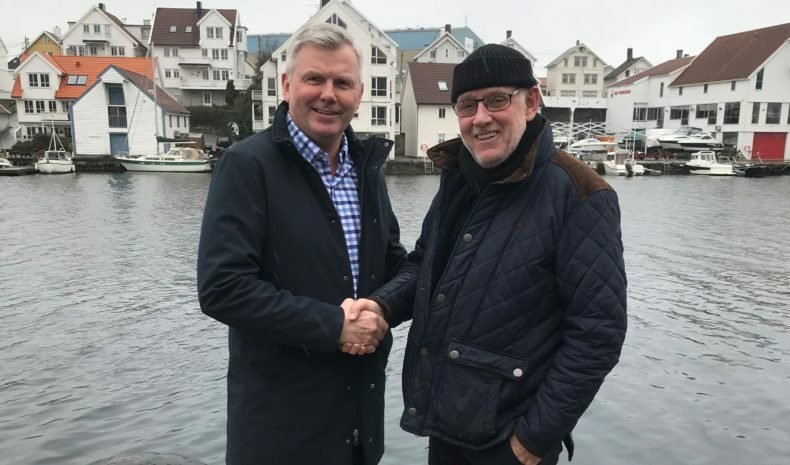 We look forward to continued good cooperation with the employees of the NMS group, says Kenneth Walland, CEO of Østensjø Rederi AS. – Østensjø and NMS will be a good match and contribute to further development of the company. The acquisition will ensure growth in a very exciting industry, as well as secure the workplaces for the employees at sea and on land, says John Ståle Egge, Chairman of the NMS Board. Johannes Østensjø dy AS is a privately owned company, established in 1974 by owner Johannes Østensjø. The company owns Østensjø Rederi AS and has ownership in 31 modern vessels, which include 12 tugboats, 8 mooring launches, 11 offshore vessels, and one flotel. The group has 500 employees and has offices in Norway, Scotland, England, and Malta.